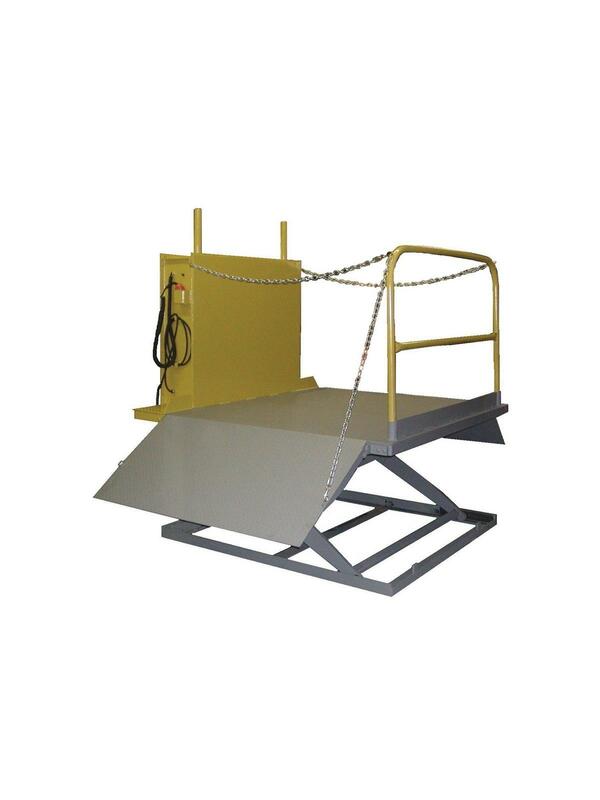 Turns any concrete surface into a loading dock. Lifts up to 5,000 lbs. You can have a loading dock any place you need one, as long as the surface will support the dock lift base. There is no pit required. Steel tread plate on all running surfaces. Push button control with twist lock plug. Includes removable hand railing and safety chains. Standard models can lift up to 5,000 lbs. 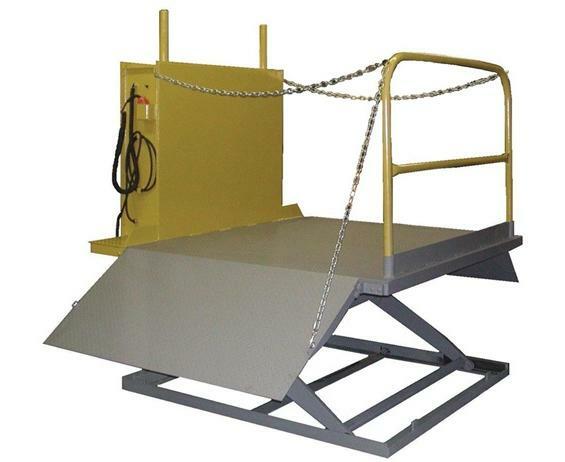 and can accommodate hand carts, 4-wheel carts, and pallet trucks. FOB Shipping Point.